Mitel’s leading collaboration solution empowers employees to be more productive, more innovative and better connected. The idea is that no matter where you are based, how you prefer to work, and on what device, you can remain connected to a central telephone system and communicate easily with other employees, customers and partners securely. Suitable for businesses of all sizes, this solution is compatible with Mitel MiVoice Office and Mitel’s full range of telephone handsets. It is aided by MiCollab Client, a software communications platform that provides your employees with a single access point for all their business communication and collaboration needs. 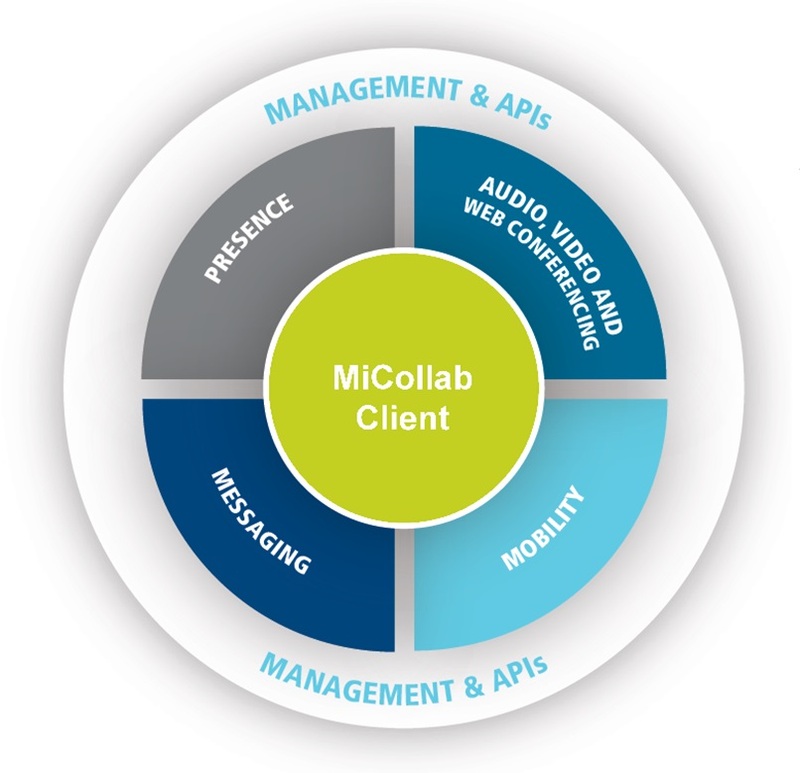 The beauty of Mitel’s MiCollab solution is that everything is centralised- Unified Messaging, Audio, web and video conferencing, and Unified Communication clients for the desktop or mobile device that bring everything together seamlessly. As the business landscape evolves into something more fluid, employees are finding that they need to be less constrained by traditional desk-based working practices. Being mobile and flexible is key: Mitel MiCollab facilitates this by offering employees the same experience when out and about as they would have if in the office. Keen to learn more? Read our case study about how our client Thamesgate broke from the constraints of a traditional working environment with the help of Mitel’s MiCollab solution. Or speak to one of our specialist Mitel experts on +44 (0)800 849 9149.